Former England international David Beckham has backed the United 2026 bid for the World Cup in the build-up to the vote at the FIFA Congress in Moscow on June 13. Beckham’s support for the bid is unsurprising, given the former England captain’s strong links to football in the United States. He played for Major League Soccer (MLS) team LA Galaxy for six seasons and is also the part owner of an MLS franchise in Miami, which is expected to enter the league at the start of the 2020 season as the league expands to 24 teams. Miami is one of the 14 host cities outlined by United 2026 in their World Cup bid. 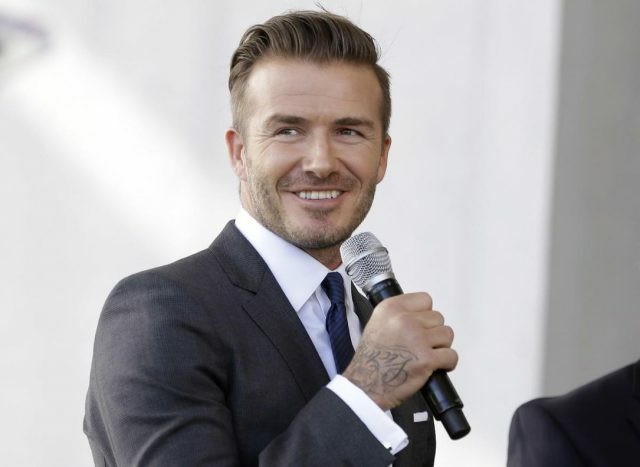 In a video supporting the bid, Beckham praised the “passion” of supporters in the three countries in the United bid – the US, Canada and Mexico. He also claimed there had been significant growth in interest towards football over the past decade in the US. “What is exciting is that I have been able to play in one of the countries and I have been to the other two as well, and also played in Canada for the Galaxy,” said Beckham, one of the sport’s most recognized figures. “I know the passion that runs through all three of those countries. “To have played in LA for six years, having traveled to Canada to play teams there, and don’t get me started on the passion in Mexico. “There are not many nations as passionate as them. “I remember the last time the United States held the World Cup in 1994, I went to a couple of games and excitement ran through the whole country and everyone involved in football. “Now there is more excitement there, more support there and people who are understanding the game. “That is not just people in the US getting excited about European football, but also excitement about the MLS and what is happening throughout the MLS. Beckham has served as an ambassador for World Cup and Olympic bids in the past, with differing results. He backed England’s bid for the 2018 World Cup which ultimately ended in defeat with Russia selected to host. Beckham was a prominent feature of London’s successful bid to stage the 2012 Olympic and Paralympic Games. The United bid faces competition from Morocco to host the 2026 World Cup. Reports from the FIFA Evaluation Task Force – which cleared both bids to proceed to the FIFA Council for approval – supposedly “hands the momentum” to the United 2026 bid because the panel “sees advantages in the areas of stadiums, transport as well as ticketing and hospitality”. The report from the evaluation group, which had the power to exclude either candidate if they did not score two out of five across various requirements, was damning of the Moroccan candidacy. The panel identified three high risk areas – stadiums, accommodation and accommodation/transport – after they conducted two visits to Morocco. The report was also at pains to highlight how all 14 stadiums proposed as part of the Moroccan bid would need building or renovating. All 207 eligible Member Associations will have a vote at the Congress in the Russian capital, held before the opening game of the 2018 World Cup between Russia and Saudi Arabia.